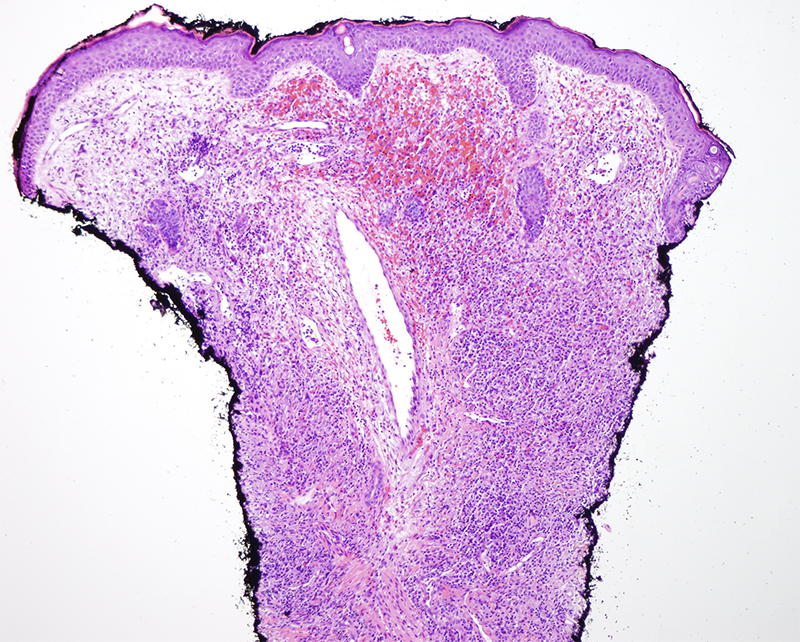 This patient has a benign reactive process diagnostic of granuloma faciale. 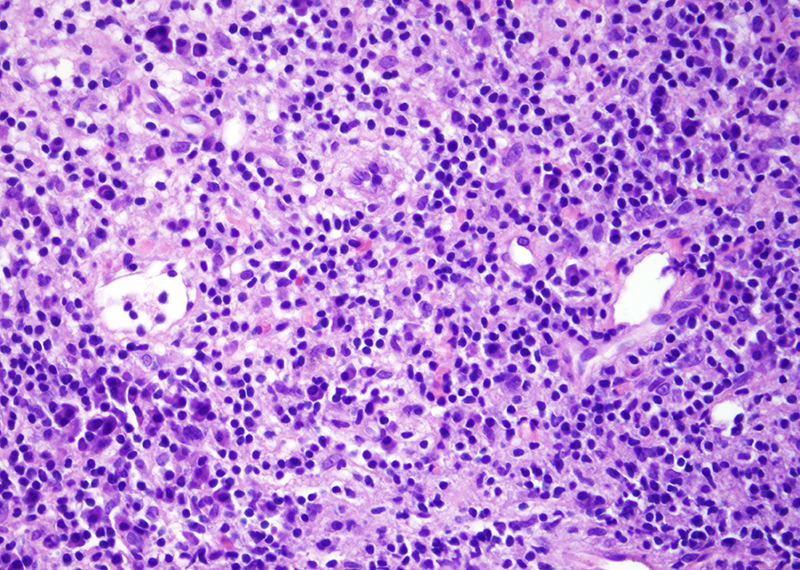 One could use the adjectival modifier of giant to denote the very extensive nature of the plaques and as well there is a significant degree of advanced patterned hyalinizing fibrosis, defining a morphology that is seen in the upper respiratory tract equivalent of granuloma faciale--namely angiocentric eosinophilic fibrosis. 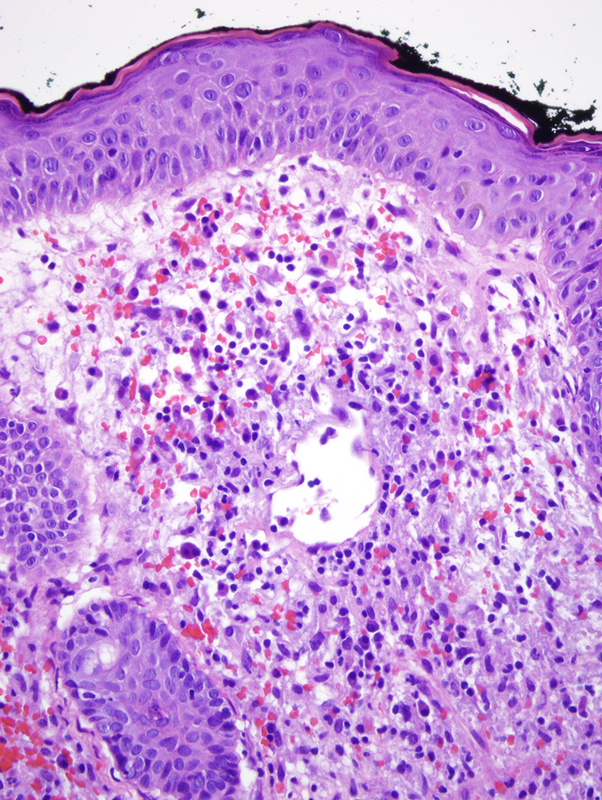 The clue in recognizing the diagnosis is really the identification of chronic and subacute vasculitic changes within the vessels of the dermis. 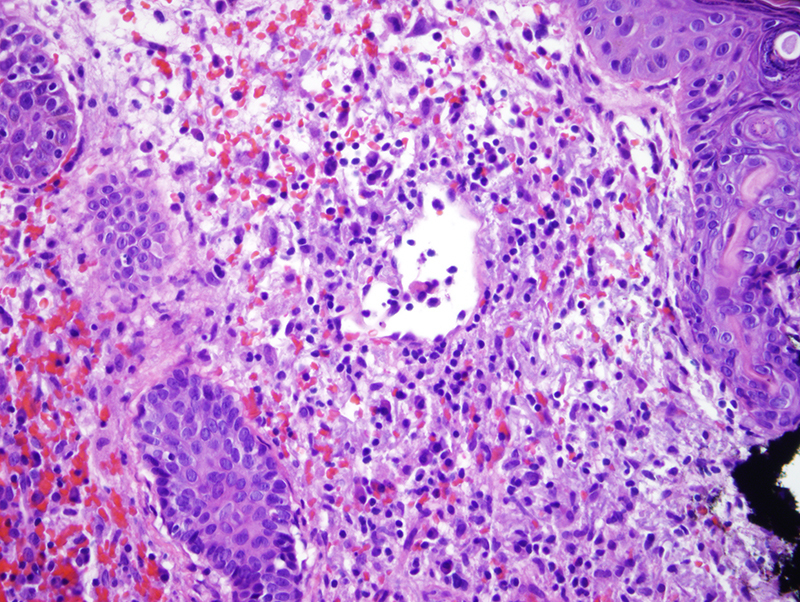 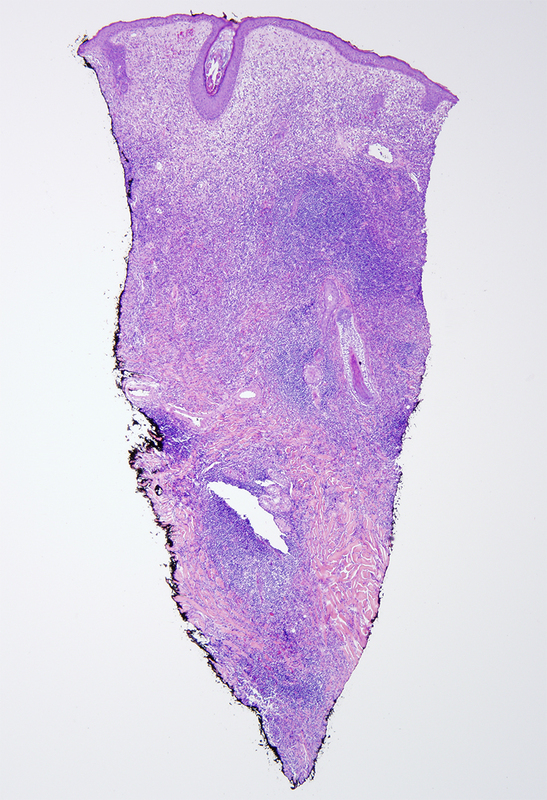 In fact, the infiltrate shows accentuation around vessels which exhibit the very classic changes that one associates with granuloma faciale, a diagnosis that is somewhat obscured by the extensive diffuse nature of the background reactive lymphoplasmacytic infiltrate. 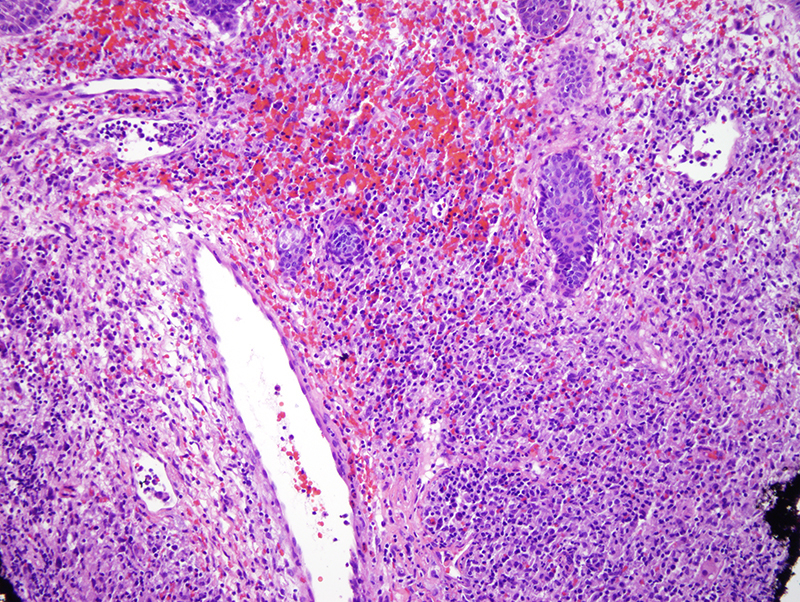 The vessels are dilated with variable mural fibrin deposition and a healing phase of hyalinizing fibrosis accompanied by evidence of vascular compromise including hemorrhage and hemosiderin deposition, defining the classic subacute and chronic changes that one associates with eosinophilic angiocentric fibrosis.